Hi I am quite interested and looking at these flats and anyone here is staying at this area. The asking price for 5 room is in mid 500k and wonder if it’s worth to pay for this price. As far as I can see, it is around 7-8 mins walk to Bukit Gombak mrt with sheltered walkway and quite a few coffee shops along the other side. Worth or not is up to individual. You checked last transact price? I really love the peaceful and quiet environment there. It took 10 mins walking at a slightly brisk pace from the MRT to blk 393, the furthest block from it in Goodview Garden. The shops and market are nearby and the Hometeam@BB got a range of facilities for use. The estate is also relatively "newer", hence more years left on the lease to go. The deal breaker for me is the shape of the common rooms there. Have you done any viewing of a unit there? Due to Mindef being situated to the side, the windows of the common rooms are built in a really weird manner. You can go guru to try looking at the floorplan of any unit for sale there. I thought I was fine with it but when I went for a viewing in person the really odd shape threw me off even though everything else was perfect for me. Go for a look first, maybe you'll love it actually. Hi thanks for the feedback and I have looked at the floor plan and yes there are odd shapes (arrow) for 2 common rooms. Will be going for viewing tonight and see but just wonder if 500+k for a 110sqm worth the price as I can get an EA in Woodland, Chua Choa Kang, Yew Tee with this price. Like what fotoudavid said, worth or not is up to individual. To me, Woodlands is really out of the way to everything except JB, CCK I don't particularly like it nor dislike it and Yew Tee (CCK North) is the ulu part of CCK. However if you work in the North and your parents/in-laws/married children also staying that area then I would say yes, Woodlands is worth it. EAs all at least 30yrs already right? Forgot what age the Goodview ones are already. We went down last night to view a few units and I really like the peaceful environment there. These flats are around 14 years old and exterior still look very new. Will arrange to view again during day time to see more clearly and to determine which unit will have West Sun. However despite on high floor but don’t seems to be windy so I don’t know if it is because of just had rain not Long ago. Like what you mentioned, the odd shape of the common room is a big setback and have to consider if justifiable to pay 550k-580k for high floor. From the 10th floor (I think) units onwards, blocks like 393, 392 and 390 are designed such that there is no views to the East, in the direction of Mindef. Corridors and windows are blocked in that direction. I checked out the estate over 3 weekends before I went for my only viewing there, all 3 times on super hot sunny days. 2 times there was very slight breeze, one time totally no wind, though to be fair sometimes whole of Sg also no wind so its not an accurate indicator. I think the design of the blocks got affect somewhat. To give it a fair chance maybe can stop over on a windy day and see if at least the corridor of that unit got wind or not. so end up where u buy? I haven't found anything suitable yet. Me BBFA staying in Teban with my parents. Other than Goodview Gardens, I couldn't find an area in the West that I really like. I even made 3 trips there to make sure I like that estate before I starting viewing my first unit there. Maybe just save money and go for Tengah instead. Yah lor. I'm probably being really picky but its really hard to find an ok unit in an estate that I like at a reasonable price. 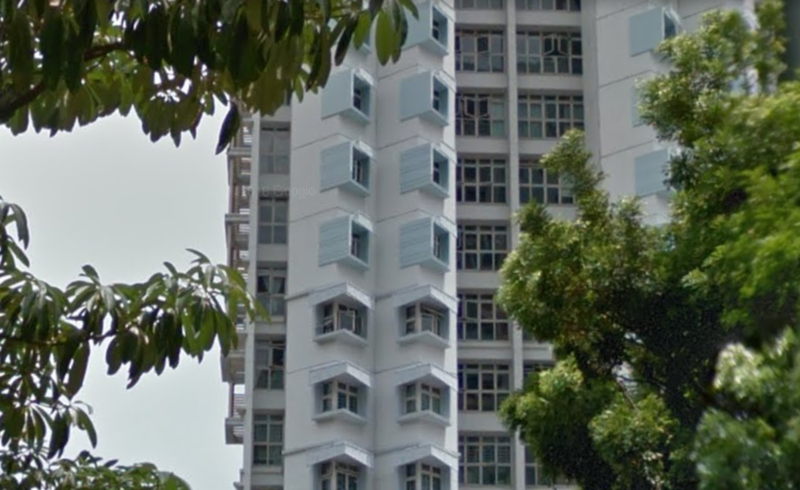 Previously wanted to buy 3rm West Coast SERS flat so that can get replacement flat at the plot opposite West Coast Park but HDB say once SERS announce already the existing flats are treated as BTOs so as a single I couldn't buy them. Tried to bid for Teck Whye 2rm BTO but number too big no chance. Made an offer for a 3rm flat for one of the new Teban flats just for the sole reason of it being new and near parents flat but the seller not willing to budge from her asking price in spite of the unit being totally unrenovated and unlived in for the majority of the MOP. So now thinking maybe get just a cheap 2rm BTO then rest of the money I can continue to invest and hopefully one day I can upgrade to somewhere that I am actually satisfied with. Last edited by roz_sid; 02-11-2018 at 12:53 AM.. If you see, from the 10th floor onwards, the pointy room's windows face only in 1 direction instead of both directions. This results in the common rooms losing a lot of natural light. When I went for the viewing, it was really dark inside the common room in spite of it being a sunny day.. If you want to make mancave or home theater or something then this is actually a good point for you though. The pointy rooms makes it really hard to make use of the space. You put a desk at one side of the pointy walls and it makes the room look really weird. Its like only can put beanbag or something unpractical there then can make the room like "normal". Hard to put into words, maybe you can see the room pics from the units listed for sale there. I also feel estate wise, Goodview beats Teban hands down. Its more peaceful and tranquil there. My parents flat however is right beside Pandan reservoir and the view never gets old after so many years. Having a nice view and have wind blowing in when you open your windows and have a change of fresh air every single day is really nice. Feb Teck Whye BTO i only bidded because the location was simply just too good already. Couldn't get though. Last edited by Fatpat; 02-11-2018 at 11:25 AM..
Last edited by roz_sid; 02-11-2018 at 03:51 PM.. I agree with everything u said. I was only looking at the 4rms there right from the start. Prices have dropped quite a bit since July/August last year. From late last year already got a number of transactions done below 400k. Some were transacted nearer to 350k though they were on undesirable floors. The 14-16th floor unit that I viewed had an asking price of 440k even though it was badly maintained and had really basic cheap reno done. Thank god I didn't buy then. However in spite of how much I love about that estate, I'm still really put off by the room shape. I'm not rich, 400k is a lot for me as a single to tahan. I need a proper space for my home office and even if I am willing to rent out the other room there's a chance I might not find a tenant also. Unless prices for a good unit there plunges which is impossible, I don't think I will be getting a unit there. How about you? You looking for a unit there currently also?